We live in a time when we have the ability to document almost every aspect of our lives, but when does the documentation become more important than participation? I've always been someone who processes through various medias - I've even kept a journal since I was 12 (some of that should never be read again, wow was I annoying) - but as smart phones have become dominant, it seems like people sometimes hide behind their documentation to avoid having a connection. As a photographer, I am very aware of the documenting and image-making I conduct in my life. The idea of bringing my camera with me everywhere is very tempting, but if I bring my camera I know that, at some point, I will turn my focus to making an image rather than being present. Depending on the event, I usually prefer to just enjoy the moment and leave the distraction at home. For this reason, I find it frustrating when I am hanging out with someone and they are hanging out with their phone. My boyfriend and I have a no phones during meal time rule, and this extends to our guests. When we are having friends over for dinner and tell them about our no phone rule, most are relieved, now they have an excuse to set it aside, but others really seem to be bothered. It's amazing that we have the ability to share our experiences with others and connect instantaneously, but I often observe people connecting virtually rather than participating in the tangible world. 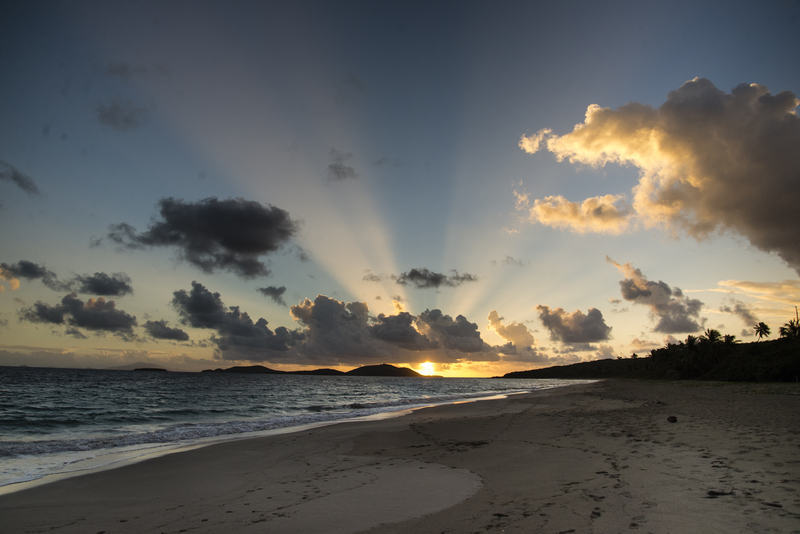 While I was in Culebra I wanted to make an image that commented on this, as I was in a spectacularly beautiful place. 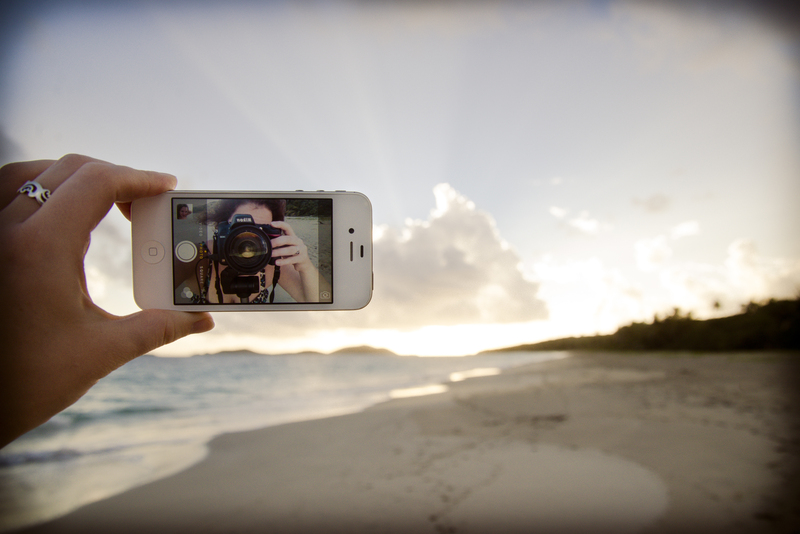 I woke up before dawn and set up my camera for a sunrise shoot on the beach. 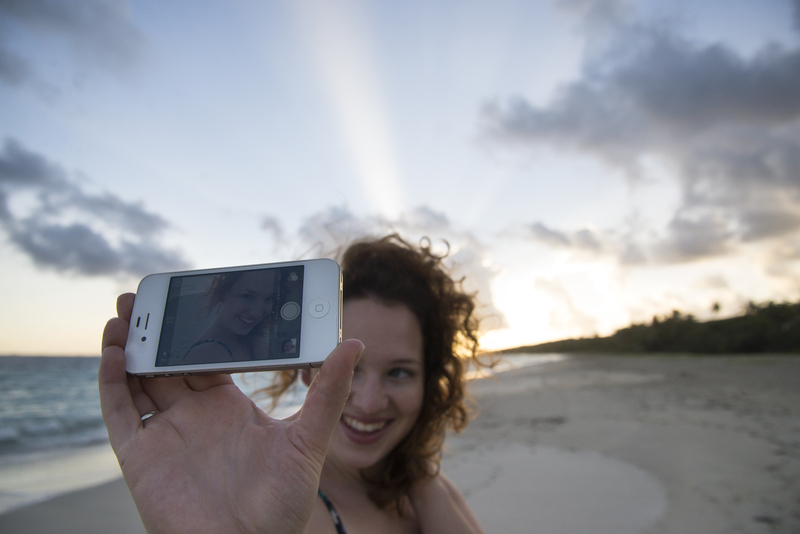 For me, a perfect example of when someone is placing documentation over participation would be a scenario just like this image - a beautiful sunrise on an empty beach... and this person is taking a selfie. This actually ended up being a really difficult photoshoot. I wanted the phone to be in focus, with the live image of myself displayed on screen, and I wanted it to look like a "selfie" picture displaying on the phone. 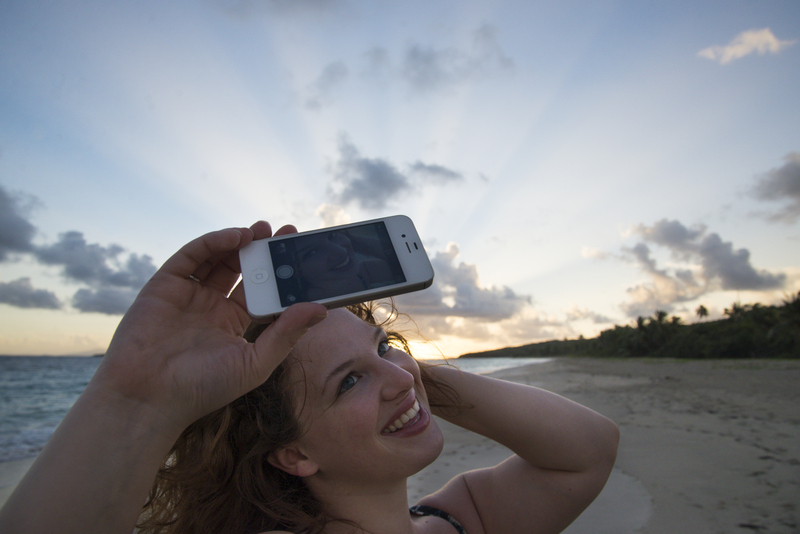 When I'm taking self portaits I set up my focus for a specific spot, but it was very difficult to get the phone in the exact spot it needed to be and have a good "selfie" on the screen. I wanted to be in a pose that, on the phone screen looked non-chalant, but from another angle looked entirely contrived. I did enjoy the sunrise, but mostly I spent the time making everything line up properly and getting really enjoyed with trying to look peppy in the images! 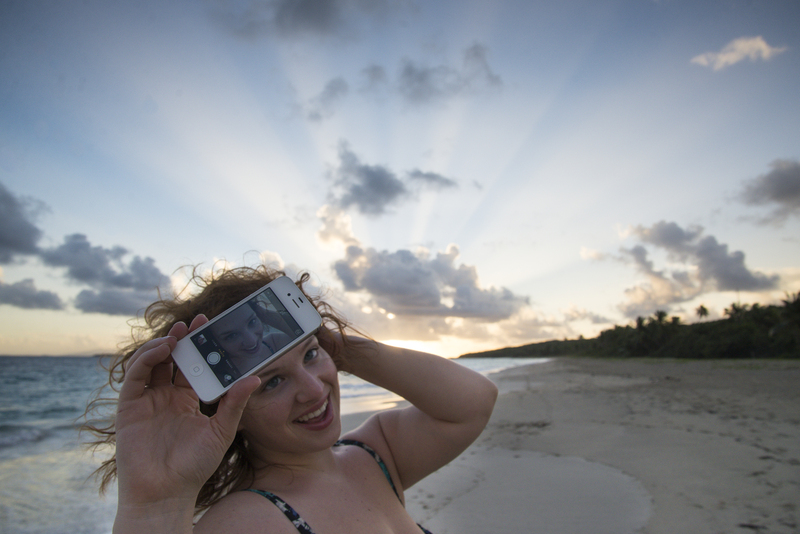 Self Portrait in #Paradise #NoFilter #WhatIsItAllFor?